The Jersey Cares Martin Luther King, Jr. Day of Service engages people across the state to embody Dr. King's vision and bring people of all ages and backgrounds together, strengthening their communities and building a stronger New Jersey. In 2019, 1,380 volunteers in 10 service projects across 7 counties honored Dr. King's legacy by painting murals in schools, creating no-sew fleece blankets for our homeless neighbors, serving hot meals to people who needed them, spending time with seniors, organizing donated clothes and much more. Information for MLK Day of Service 2020 can be found HERE. 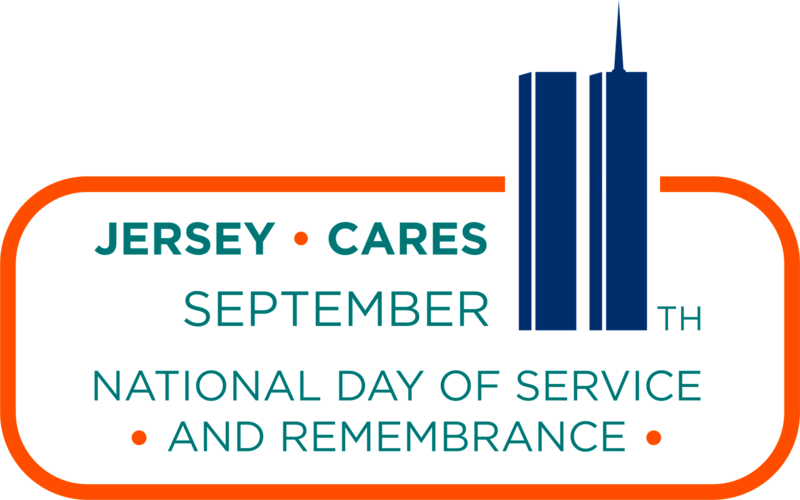 In 2018, as part of the national movement to preserve September 11th as a day of service and remembrance, Jersey Cares facilitated volunteer projects for 100 volunteers across 3 sites in Jersey City whose population was strongly affected by the events of 9/11. Volunteers honored those affected by the events of September 11th through projects such as creating thank-you kits for first responders, landscaping, assisting with a local park's memorial 5K, and revitalizing a local high school's 9/11 memorial. Through these projects, volunteers worked to make our communities stronger on a day that was intended to tear them apart.